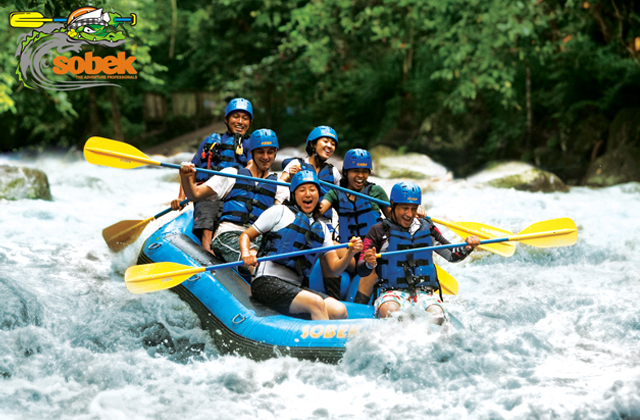 Rafting is the most popular activity in Bali. Rafting in the River Ayung is a dynamic activity, where you will flow down river, weaving through the Ubud Valley, surrounded by beautiful natural scenery. The volume of water in the river is stable year-round, with few water rapids, allowing you to have fun with great peace of mind. Led by your professional river guide, you will follow instructions and paddle along the way, as you laugh, scream, and have an incredible adventure. The departure point is fully fitted with changing rooms and toilets, and the destination point offers shower rooms and restaurants.We recommend to check availability beforehand by yourself. We recommend to check availability beforehand by yourself. Please arrive at least 15 minutes prior to the time schedule (Last time:13:45).Please pay attention, Starting point and Finishing point is different place.